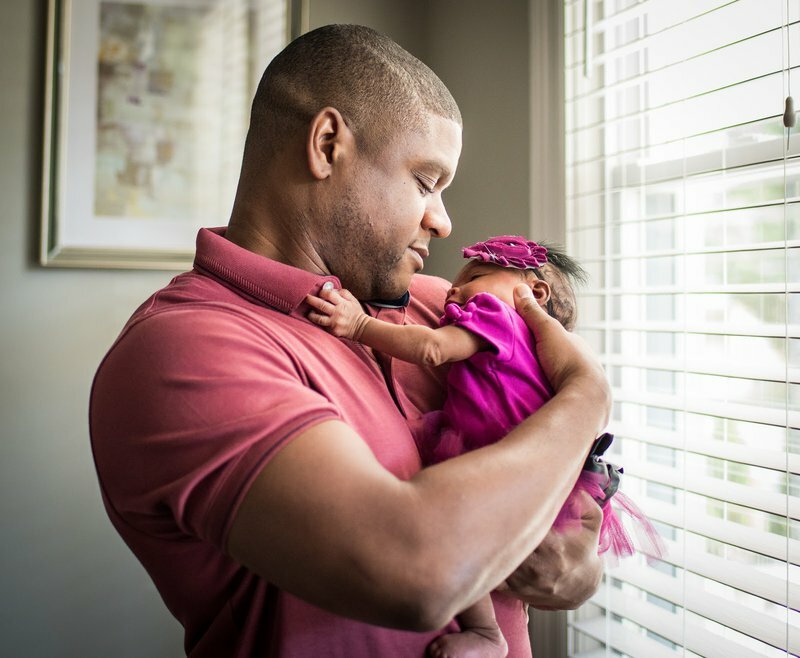 One new father's journey to balance a cyber career with parenthood. A mere eight weeks ago, my life changed in a way that hardly makes it possible to remember what life was like before. At the hospital, I sat next to my wife, exhausted from what felt like days of labor (it had actually been 18 hours), and restless from all the excitement. We exchanged teary-eyed stares, thinking about what our daughter might look like. I imagined how she would smell and just how loud her voice would shriek during her grand entrance into the world. She would surely prove a worthy contestant on “The Voice” or “America’s Got Talent” for no other reason than she was our baby girl and everything about her, even the parts we had yet to discover, would be perfect in our eyes. Up to this point, my marriage and my work in cybersecurity made for much of my identity. Cybersecurity, especially as the head of a program, remains demanding. It requires an always-on mentality. But, as I was about to discover – so does fatherhood. How would I balance a career that often necessitates a 24/7 commitment with a new role that demands the same? My daughter, as it turned out, needed very different things from me than my colleagues. She didn’t need my “director” title; she didn’t even need the degrees with my name imprinted that came before her. As she wrapped her small, warm hand around one single finger of mine, it was clear that she needed me to play a role for which no previous job experience or credentials could prepare me. How would I balance a career that often necessitates a 24/7 commitment with a new role that demands the same? The first few days were difficult. My wife was in recovery mode and our daughter required the necessary time to adjust to the new sounds, smells, and punishing light that proved far different than her previous residence of the last ten months. The focus of each day became food. Nourishing our child was the primary order of business in between the paper signings and repeated vital checks. At least something felt familiar: Sleep was what my career choice had made it some time ago – a luxury. Even still, the sleeplessness that comes from having a job in cybersecurity could not prepare me for the sleep deprivation that is part and parcel to parenting. A child has demands much greater than a misconfigured server and requires more triage than a suspicious alert. It is every new parent’s rite of passage. A child has demands much greater than a misconfigured server and requires more triage than a suspicious alert. With just a few weeks of experience in my role as a father, I’m only now beginning to understand the adjustments required for me to have a handle on the many hats I now wear. Getting out the door in the morning involves a series of pass-offs between my wife and I, ensuring the day at home starts off on the right foot. Mom and baby are fed, lunches and snacks are prepped, and the house is generally in order. I quickly scan my email and calendar to see what’s on tap for the day – accounting for any flexibilities. Are there meetings that can be resolved through email, taken remotely, or that have overnight become less of a priority? Who is on tap for cyber firefighting for the day? What can be accomplished during my morning commute? Before having a daughter, these are considerations that I would have made but not necessarily acted on. Now, I realize how efficiently I am required to work. Quite naturally, I’m trying to cap my work week to a respectable amount of hours. This doesn’t mean I have less work, but it greatly impacts my approach to working, and for the better. Since returning, I’ve more heavily engaged my team, allowing each member the experiences, opportunities, and stretch roles that I may have unknowingly shielded them from – in my attempt to protect their time and the burn of the midnight oil. My new approach demands delegation to my team based on skill-set, interest, and availability. This approach not only results in a communal sharing of wins, but allows us the chance to identify and maximize previously untapped team potential, pivoting us further into the realm of a more high-performing team than we already are. The changes that I’ve made at work offer me the breathing room for midday check-ins at home, evening tuck-ins, and the ability to step away for my daughter’s medical appointments. I owe it to my daughter to be present. I owe it to my job to drive results. Being there for her means that just like searching for cybercriminals in a network, I’m looking for any early indicators in my daughter that something is wrong. A change in pitch in her cry, redness on her skin, or even a shift in mood could all signal a need for action on my part. Choosing a better balance with work keeps me sharp and alert at home to do this forever job of fatherhood well. Vice-versa, having a child has only made me want to become an even more vigilant cyber defender. The world my daughter is inheriting is already creating a staggering 2.5 quintillion bytes of data each day. With new technologies changing not only how we communicate, but what can communicate, the world is sure to encounter more challenges to secure the most sacred parts of our lives. From our finances, to our medical history, even to who we vote for – cybersecurity must evolve. And maybe I’ll convince my daughter to play some role in its evolution; after all, the field does need more smart women to join its ranks. In all, lessons from my career in cybersecurity and in fatherhood aren’t too far off. Both offer exciting new challenges with an uncertain future, and I’m excited to take on both.